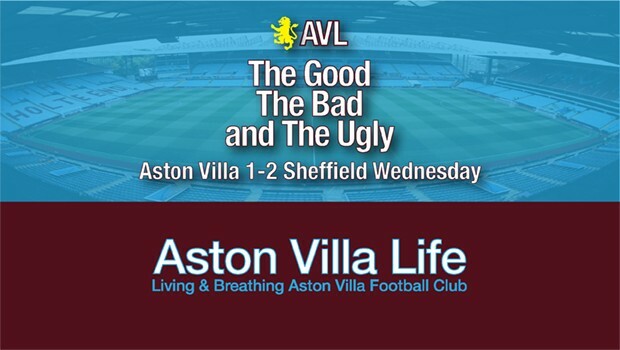 Villa hosted Sheffield Wednesday looking to make it two in a row on Saturday, but were simply outplayed and bowed out 1-2 losers. Steve Bruce put out the same formation as he did Tuesday, with Kodjia and Abraham up top, but Albert Adomah got the nod over Anwar El Ghazi. This is going to get a little long, so bear with me or skip to the end. I might not be saying anything you didn’t already know because we’ve all been watching the same thing for a while now. John McGinn’s equalizer was an absolute beauty. Can’t take the ball of the volley any better than that. An attacking formation for the second match in a row. While some are questioning Jack’s play of late, I will say I liked that he was looking to shoot. He should be. And the more he does, the more likely they’ll start to go in, or at least force saves and/or defensive breakdowns and second-chance opportunities. Alan Hutton’s last-gasp tackle was a goal-saver—crunching and timed to perfection. Accordingly, Wednesday had the initiative throughout most of the match. They pressured relentlessly all over the pitch, came up with far more than their share of the 50-50 balls, found their outlets, and moved it around nicely. In short, they looked like they had a much better idea of who they are and what they’re supposed to be doing. Villa didn’t have much response beyond McGinn’s wonder goal. During the match, I heard someone on the commentary remarking rather incredulously that there was no shape, system, or coordination. As I’ve noted many times, a continuing issue is players receiving telegraphed passes with their backs to goal. You want to be static and give the ball away? That’s a good way to do it. And it seems to be our system. And on a day when Kodjia’s touch was non-existent—the ball repeatedly coming back off him or being intercepted by players unafraid of being turned or otherwise caught out—there’s was no fixing it, apparently. Abraham had a bit more joy, but not enough. Touch seemed to be a factor for a number of players, likewise accuracy, and this was obviously down to the pressing. As they do, Grealish and McGinn tried to carry the ball through the middle, switch sides, and find wide runners. Grealish, in particular, I think is feeling not only the weight of expectations, but also trying too hard to single-handedly break teams down because the system isn’t doing it. He gets his head down and often isn’t looking for the pass quickly enough. McGinn, for his part, looked to jump-start attacks when receiving the ball with his back to goal by slipping and turning to get it going upfield, and it was nice to see, likewise his unending industry. But with McGinn and Hourihane regularly coming back roughly in line with each other in front of the back four, there’s no obvious spearhead. One either has to carry the ball, or find Grealish in the free role he apparently has now from wide left. It’s either that, send it up to Kodjia, or go out wide. As we know, our fullbacks play off and don’t shut down opponents, and our centerbacks are taxed. Jedinak doesn’t offer much support when pressing up, and Chester is looking somewhat a shadow of himself since being paired with Jedi. I liked the idea of giving giving Abraham someone to work with up front, but yesterday, at least, Kodjia meant Villa were often playing with 10 men, and Wednesday 12, since he couldn’t keep hold and didn’t add anything to winning it back. More booing at the final whistle to sum up one win in seven. This is not the start we needed. Quite obviously the exact opposite. We can’t press, and we can’t handle pressure. We seem to be chasing shadows when an opponent is playing well. We rarely impose ourselves for more than 15 or 20 minutes. It is true that on the day Villa didn’t necessarily play well at the individual level. But despite the attacking set-up (which just means a large number of talented attacking players, in Bruce’s view), there were little of the complementary aspects needed to make the set-up successful. In looking to contextualize the challenge on the day, Bruce plaintively pointed out the Owls were “playing five at the back and four in the middle.” Which would seem to be the reason we couldn’t break them down. Yet, that seems to miss the point that they also broke with pace and intent, and had the ball for large stretches in central areas and our third. They weren’t hunkered down and weathering a storm. They simply were playing a modern game more cohesively, and executing a well-drilled plan. We made it easy for them to look good because we couldn’t do anything to make them pay for the pressure. Further, we don’t win the ball back quickly. We don’t shut down outlets. We tend to get players isolated, and while there might be one outlet, there isn’t the second and third, or fourth that forms a pattern of play. They’re all shut down. We turn it over or go backwards. Anytime more than one player is on you, there’s someone not marked. But if the opponent overloads quickly and takes away the outlets? You have to make it hard for them to overload. You have to have composure, knock passes together, and get them chasing. They’ll back off when they can’t get it for a while. But when we’re playing down the line, you’ve already done half their job by making the touchline a defender. It’s all well and good if you’re catching them out and moving into space vacated by wingbacks and wingers. Otherwise? You need more room to move, and you need to make them defend more area. As they high press, you have to slip it past them quickly and get turned upfield. To be fair, there were a couple of breaks into space that saw Abraham or Kodjia running in on goal. But the necessary lay-off or through-ball is either late, inaccurate, mis-weighted, or non-existent. Players are also marking themselves out of the game, taking up positions where they’d be very lucky to receive a ball. You’d think this could be corrected and drilled on the training ground. Grealish, Hourihane and McGinn all have the quality in them. Since these are talented players, something else is amiss. Are they disaffected and showing a lack of confidence in or affection for the system? Are they just feeling their way into the season? Or are we lacking an actual way of playing beyond simply setting people out in positions with basic instructions like get it up to Kodjia/Abraham, or play it wide and knock it in? So, here we are yet again. While we may have showed attacking intent with personnel and formation, execution was lacking. No system will work if the players can’t execute it. And you can’t really call what we’re seeing a system. We hear from Bruce that we’ll be working on the defensive side of things this week. Which I’m not taking as good news because I don’t think it’s going to involve winning the ball back further up the pitch, or seizing the initiative and imposing ourselves. It won’t involve more movement off the ball, hunting in packs, or quick interchanges. I fear, rather, that it involves playing off, not ‘overcommitting’, not getting enough players forward, and playing with a DM to cover the back four. I take Bruce’s point that needing to score three every week is an ask. At the same time, the back line that needs help is his doing, and it may be the case that we can’t play two up front and will have to go back to playing five in the middle. Or that Kodjia needs to ride the bench to make way for Hogan. If nothing else, Hogan provides more chasing, tracking back, and overall energy. Bottom line: You generally know what an opponent is and what they’d like to do. The difference between good teams and bad teams is that good teams can execute their game against anyone, sooner or later. Right now, Villa don’t have a game, and if they do, are all too easily stopped. Meanwhile, we’re leaking goals. It’s not a good combination. 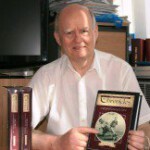 This entry was published on September 24, 2018 / John Clark. Posted in Uncategorized and tagged "Albert Adomah", "Aston Villa Football Club", "aston villa life", "Aston Villa", "Jack Grealish", "John McGinn", "Jonathan Kodjia", "match review", "Sheffield Wednesday", astonvillalife, Conor Hourihane, Mile Jedinak, ”Tammy Abraham”. Bookmark the permalink. Excellent summary JC. You have nailed the issues. Last season, Snoddy said publicly that the players would run through a brick wall for SB. The evidence before my eyes this season suggests that is not now the case. He doesn’t need to lose the dressing room en bloc for things to become disruptive. One or two agitated players will be enough to affect team spirit. At one point during the closed season it was all about survival. Then Compass arrived and it’s now about promotion. It won’t happen with Spud at the helm. Hello, JC. Thanks for writing some thought food for us. Mediocrity is what the reality is at this time. I’m not optimistic, anymore. So many other clubs with small budgets seem hungrier. I’ll visit next year. At least the tickets should be cheaper. Where’s the best chippies in Brum, anyway? Thanks JC, great write up alcohol has improved not diminished your powers of observation. One point you have highlighted is Bruces veiw of the games, its looks to me like he see’s things but through a different lens. Of course weds had 9 behind the ball its called not having the ball, they then created the vast majority of the highlights in the game. I think Bruces presser tell a story, from “they are not doing what I asked them to do” to “thats not good enough” its all putting the onus on the players and not him. Last season when Agnew came in with Bruce proclaiming “we need something a bit different” we played completely different for maybe 8-10 games, pressing from the front and every player did his part only to return to the sit back mindset with one man heading machine Jedinak central to the plan. I appears he doesn’t learn, or doesn’t learn the right things, his every presser lays that bare. And it screams don’t lose. Superbly written leader JC, as MK has stated maybe the infusion of some alcohol helps..!! The biggest concerns are now turning to FFP. I am more than a little surprised that the board could have sanctioned the Bolasie move, paying all of his £70,000 wages. This is suicide, as well as grossly unfair on the other players. It is no wonder that I feel that the rumour about a bust up between Bruce and the players at half-time could well be true. Don’t see Grealish or Chester being here after January, if Bruce remains in charge. The feeling is that Henri will be called very soon and installed, especially if we do not win against Bristol City and Preston North End. A loss to PNE will be too much for the fans and the board to take. Depending on who they are, one or two is all it takes, yes. Am curious about the supposed bust-up. In and of itself, doesn’t have to be a bad thing…sometimes players need calling out, someone has to care, etc. But when I looked at Abraham’s angry disbelief that the left FB/WB wasn’t also being pressed when he was closing down his man, I started wondering. I can’t say that that’s Bruce’s fault, per se, but when there’s a new boy obviously expecting something different to be happening, it raises questions. You stop closing down in a hurry if others aren’t going to make the effort count. I know I’m preaching to the choir, but I find it a bit astonishing that a defense-first manager wouldn’t have gotten a couple of bodies in for that back line. It all starts at the back goes the cliché, and most everyone we play has a younger, faster, more aggressive back line. And none of them cost a fortune. Kodjia wouldn’t have been able to get his wallet out of his back pocket, the CB was so close into him. Back to a familiar complaint of mine, which is that we had an easy run of games to blood Bree and Tuanzebe. But instead we let De Laet and Elphick go, aren’t playing Bree or Tuanzebe, and trot out the tired veterans. I’d be licking my chops running at Jedinak. Interesting, though, to see Terry’s impact now that he’s gone. Not saying he had much left in the tank, but Nylund aside (and I really don’t think he’s a factor in this), the back line is unchanged otherwise. Good to see you. Once I heard Mitch Clark and Andre Green talking, I got the distinct impression that the Villa Way was only something that sounded nice to say. Though to be fair, I’m guessing Round did believe in the idea. Yes…no matter who we put in, it ends up looking the same. That’s when I turn to the manager, who is the constant. He’s brought in some good players (though everyone is scratching their heads about the Bolasie arrangement…Will he really make £70k a week’s worth of impact? ), but will Bruce play to their strengths? There’s that funny thing about the team moving forward and back as one. We seem to have three distinct sections, which isn’t really the idea. Yes, the whole team defends…but the whole team also attacks. Our transitions are very poor. We did have those blips where everyone was buzzing around, winning the ball, moving it quickly, but fortunately someone saw to that and snuffed it out. JC- Time moves on all that back line are older than last season, the youth will be stronger ,bigger ,quicker and in there prime, Clark should be playing, hell should of after last seasons runs at LB/CB . JT brought some know how and chat but was easily bypassed if exposed, his forte was meeting the ball, his timing for blocks and headers was outstanding. He also glued to team to our penalty area imo. Shame we sold Baker really. At this rate, I also can’t see either staying. If I’m Jack (and I know they’re negotiating) I’d be saying can I go now, please? Hourihane will be happier now he’s playing, but how long will that last? And since Bjarnason now seems fit enough to be on the bench, there’s going to be another very unhappy midfielder soon enough. As for Jack saying “can I go now please?”, I’m just reading that he’s signed a new five year contract today! Funny old game, eh? Unless of course it’s a contract with a realistic buy-out clause…………..
Yep, he’s signed a new deal today. We just need the right coach now to teach him how to achieve his potential. No comment on the Wednesday game bar take a bow McGinn, the rest is a case of the less said the better. My take on the new contract for Grealish is the buy out clause which will be around £40-£50 million and his wages, again will be blowing FFP out of the window, as he has doubled the amount, so now must be on £60,000 – £70,000 per week. I cannot see him signing for less. The biggest danger now is that he gets crocked in the next few weeks, becomes a liability on the books, and Villa can’t sell him then in the January window. The big rush to get this signing on the books is only to deflect away from Bruce and stop the calls to sack him. I would have thought the biggest danger is losing Chester, and his buy out is only around £8-£9 million. Good to see you. Yes, it is a funny old game. Like Plug’s saying, depends on the buyout, and I’m sure Jack wasn’t going to say no to the money he missed out on when he didn’t force a move. It’ll help Villa’s negotiating position, certainly. But I’m still thinking he’s off, either in January if promotion looks lost (which can be tough to tell in this league), or at the end of the season if we don’t go up. I am getting more curious about the FFP game again, though. Sorry, PP with the buyout clause, Plug with the right coach. Which I absolutely agree with. He needs someone to now take him to the next level up and make him a complete player. The talent is there, likewise the willingness to shoulder responsibility. Just needs to be brought along by someone whom he admires. A Thierry Henry would certainly fit that bill. JT definitely had his liabilities, and I’m not one who wanted him back for just the reasons you state. I have a hard time understanding how everyone else seems to find young CBs that give us trouble, and we can’t find any to trouble them. I did like Baker, but he was prone to injury. At least with us. JC- yes he had his fare share but then so have many at Villa. I would of thought that Bruce would see a good CH a mile off but then he did buy McGuire for Hull on recommendation and called him one for the future with 150 games under his belt for sheff utd, hardly played. Brentford with two 20 year olds having sold there CH’s for two seasons running now. We must be cursed, we only have the England U19’s world cup winning captain in the stiffs/loaned out. Been reflecting on Bruces time here and to be honest we have pretty much got out of him what I thought we would, not terrible not exceptional. I’ll get back if things change at Villa. Hope for the best. That’s pretty much it. He’s got about what the percentages his style of play would dictate. Andrea Straumaccioni on Villa’s list for possible replacement for Bruce….only 42 years old and not had a club since March…formerly with Inter Milan, Udinese. Pathinakos and Sparta Prague….anyone know much???? PP, I too am now concerned more than ever about FFP and the reported 12 points deduction we may be up for next season if we don’t get promotion. If the Bolasie rumour is true, that we are paying all of his 70k/week salary, and we’ve just given Jack a big increase, I must ask the question what on earth is Spud doing? Is he having a laugh? We are into our third season in the Champs, not in the Prem. He’s got to go. 70K/week and he’s coming off the bench!! Compass, do not give this man another penny to spend. Andrea Straumaccioni ? apparently we talked to him in May, he’s still unemployed which fits the cheap to employ I suppose, was the latest Greatest but stock went down when Inter finished 15th hasn’t done great at the other clubs either since, so not for me thanks. I cannot see for the life of me see Compass playing silly buggers with FFP nor Bruce having that amount of power, could be we are scuppered anyway and they are taking the chance we could go up but reap the reward and pay the fine? who knows, this is one I’m definitely not worrying about until the full disclosure happens. Sounds a bit like me that you scour the press articles for a glimmer of hope, but there is nothing there, apart from the fact that we now have the Egyptian and American National flags flying over the Doug Ellis Stand, perhaps we could get a white one flying over the dugout..!! Collins is only training at the moment, as he is nursing a hamstring injury , Chester may get a new deal so we can cash in if necessary. Terry can’t sign because we gave all the spare money to the Bolasie deal, and Bruce looks like lasting at least until the fateful PNE game. Wonder if JL will still be singing for him then and saying we misunderstand him. Interesting on Colins that he fell out with Houllier, but it was Alex McCleish that brought him back into the fold. I remember Collins, Dunne and Warnock being awesome on there debut against Blues and Collins then playing well for West Ham but FFS he is past it. Another old defender to face young fast opposition. Would rather Axel or youth given a chance. My guess is Villa is getting ready to sell on with the high evaluations if stuck in the Championship. Something is amiss when there are several teams in the same boat. More wonderful news for Villa fans to swallow…. Interesting that Sherwood didn’t want to work with the French boys and basically bombed them out….Now the latest news on yet another of them is Jordan Veretout is wanted by Inter Milan as a midfielder and about to become a mega star in the near future….as will Adama Traore, and Amavi, Guere, Sanchez and many more are not doing so badly. How did we fail so badly to turn this squad into a top class Premiership team???? New national flags now flying over the Doug Ellis Stand of Egypt and the USA….just to confirm their commitment..
It’s about time they changed the name of the DE stand back to the proper one they took off. They obviously complied with the terms of their contracts and did not go AWOL…!! Hope Veretout makes it at Inter Milan, as I always thought that he had the potential which Villa never really utilised. It will probably become the Addidas Stand…!! I liked Vertiut thought he had huge potential but tim obviously hadn’t got time to develop him. Shame we treated him and his family so poorly. Hi JG, Was thinking the exact same thing and only caught the second half and penos, supposition or an interpretation of having watched Villa under Bruce but I’d expect a damage limitation exercise from Bruce away from home to Man U with Whelan and Jedinak on the pitch together. Derby free kick was on par with Mcginn’s volley, might be the best I’ve ever seen. If you want a laugh go to Jimmy Hessel’s twitter feed, he does a few Vids skitting Steve Bruce there are some crackers on there. More news this week, Aron Tishbola, with 2 years left on his contract with us, has become a top midfielder for Kilmarnock and ran the midfield in their 2-1 win over Celtic for Steve Clarke, and was named in the Scottish Premiership team of the week, as well as being man of the match. Still think Clarke could be the man for Villa, out of all the normal ones. More and more being concerned about FFP, and on the latest poll 75% of Villa fans do not think we will be promoted under Bruce. PP- Gary Gardner is shittys second best performing player stats wise apart from their captain, why do these players do so well elsewhere? It would seem we can produce the players, but not develop them. I don’t blame Gary or Craig Gardner…the systems at Villa let them down and many others. Did Jolene Lescott, Gabby and Micah Richards really hate Villa so much, or did the club fail them???? I see Howard Hodgson has gone public on his thoughts on Bruce’s time being up, no interest in the Italian being rumoured in the media. Thierry Henry/Steve Bould partnership, Bould to sort the defence and Henry to sort the attack. PP – The media are now starting to question Spud. We had the Torygraph yesterday and now Sky Gambling writing a script. It’s true that this division could have the best 24 coaches in the world and still 4 must be relegated and 3 promoted. The stats for changing manager mid stream are not convincing but my objection to Spud is the lack of attacking intent. Setting up defensively works best when teams transition from defence to attack at rapier speed. We don’t have that (but we did under MON). We also see many teams parking the bus against us and that needs different tactics to break down. We don’t have that either. So we continue to stumble along. plug- Bruce is one of the managers that arrived mid season and got promotion also 1st season with Hull. I just think the team was not to his liking when he arrived to play his way and thats why he’s floundering. 🙂 A Crossley Inner Circle bus that needs to double declutch before managing a canter? To reiterate, the club nearly went bottoms up in the summer and since then we’ve had to re-build pretty quick. Such things don’t always work as quickly as you’d hope, but looking at that Sky Sports article and stats I’d say that Bruce has, nevertheless, wrought improvements over the last year. Well, I’m sitting here waiting for another 3 or 4 weeks to pass before I draw any conclusions. In common with everyone these days, you all want instant achievement after a team re-build that’s not even fully got itself together yet, even after such a summer that we’ve just had. Marvellous! Well the kick off time has changed to 8pm. The one & the same. Aston Cross & Victoria Rd looked a lot different then, with no M38 & a lot of jobs. He’s really only played three of them in his starting line ups consistently sice they arrived. Two seasons worth of all of his and RDM’s players available at seasons start but no real progress? blaming it on the arrival of new players? it is really only a part of the story and problem imo. Well, I did find the Telegraph article hit the mark. The Sky thing about patience…I can understand, but “clueless and directionless”…Hard to get past that. We shall all know the truth by 10.00pm on Tuesday 2nd October….Nothing less than 4 points will do. Don’t forget the match is on Sky tonight. If you wish to record the match then find the main match on the sky programme guide, highlight it, then press ok, the two matches will then appear, highlight the Villa game and press record. Andi Weimann looking forward to playing us under lights and leading the line…!! Anyway, fresh sheet up for the game. COYVB. I have to watch at home on computer as have no TV. can give a u arel if you need nearer koff if you can use. Bloody cold here, I think I’ll light a fire ready for kick off. Weird position? It seems to have come back round yet again, it’s getting like groundhog day.